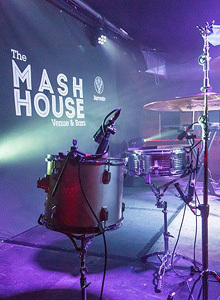 We’re The Mash House, a unique venue located within the heart of Edinburgh’s vibrant Cowgate. 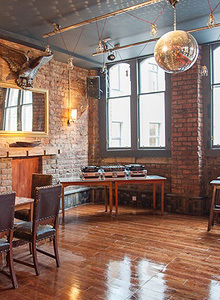 An extensive space spanning across three floors with an array of different functions, from nightclub to chess classes. We’re essentially a giant and multi-functional event emporium. An inspiring space with walls of rustic brick, industrial scaffold fixtures, natural wood and contemporary lighting, The Mash House exudes a cool and unique atmosphere.  Why not stop by for a look/chat? Email dan@themashhouse.co.uk to arrange a viewing! We hope following provides all the necessary information with regards to access in and around our venue if you have any questions please do not hesitate to get in touch. The Mash House welcomes Assistance Dogs in all of our venues. Please ask a member of staff on arrival if you require any assistance. Some of our shows include the use of strobe lighting and/or haze. Please check specific event info as times may differ depending on the event. 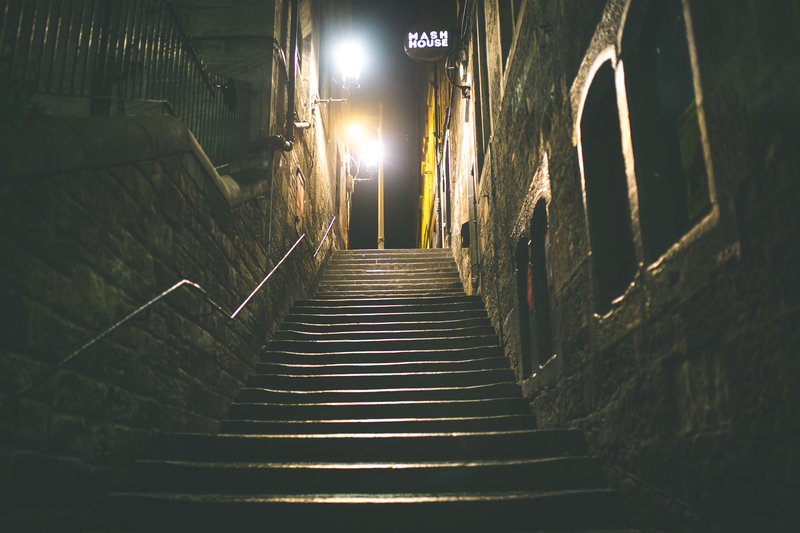 The Mash House is situated halfway up Hastie’s Close only accessible via a staircases from Guthrie Street or The Cowgate. There is a hand rail on the right-hand side (if coming from Guthrie Street) the length of the staircase . The main entrance door is fastened open during standard opening hours (see opening hours above). Accessed by 4 stairs down from main bar area. Accessed from front door and at least 30 steps up a tight staircase. The main box office for the The Mash House is in the foyer at the front door. There is no accessible toilets in the venue. Arriving by train: Haymarket Train Station is a 30 minute walk & Waverly Train Station a 15 minute walk to the venue.